They twisted together a crown of thorns and set it on his head. 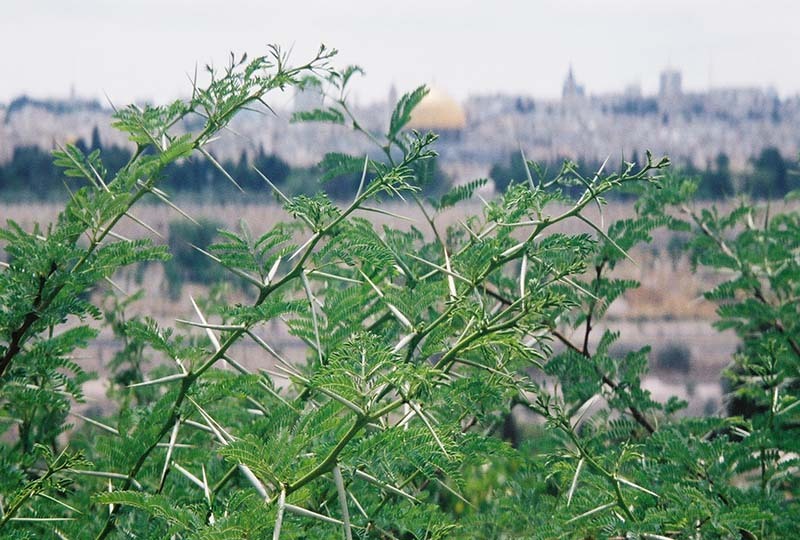 This bush is called the Crown of Thorns because it grows the kind of thorns that, when dried and twisted into a crown, became part of the suffering Jesus had to endure out of love for you and me. When pushed onto His head with force, the long thorns pierced His head deeply. Every time He moved His head as He hung on the cross, trying to catch His breath, trying to ease some of the pull from the nails in His hands, these thorns hurt again and again. Lord Jesus, You endured so much for my sake, and yet I take it for granted. I don’t like to think about what You went through for love of me. Help me to accept more fully what You did for me, and help me to get in touch with the sins I still need to repent of, so that what You did for me will be totally worth it! Amen!